You can invite people to join your network if you are the Network Creator or if the Network Creator has extended this ability to members. Members can invite people by importing friends and addresses through Facebook or Gmail or other integrated and enabled services, or by entering an email address directly. If the Network Creator has additionally shared an invitation link with their members, then members will also be able to in turn share this invitation link with their friends. 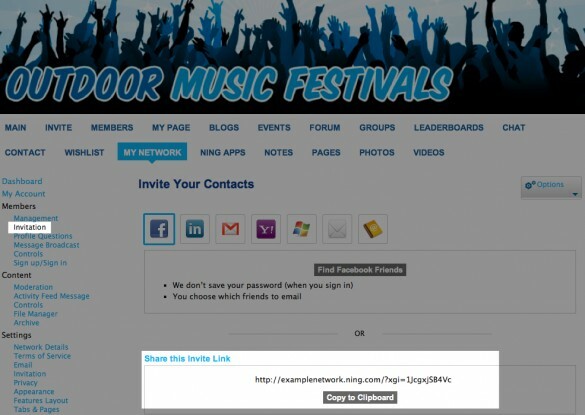 One advantage of using an invitation link is that it only will ever expire if a new invitation link is created in the meantime. For this same reason, only the Network Creator and administrators have access to the link by default, though it is easy to share. To find the link, click on the â€œInvitationsâ€ link in the dashboard. You can also find this same invitation link if you click on the Invite tab. If you want to send the invitation link to multiple people, just click on the “Copy to Clipboardâ€ button and copy the link URL. Paste this URL into an email, an IM or website! If at some point, you want the invitation link to expire, you can create a new link by going to My Network > Settings > Invitation. 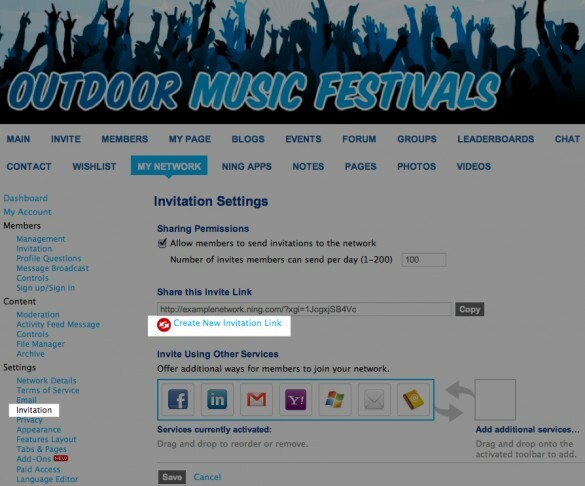 Once there, click the “Create New Invitation Link” text. 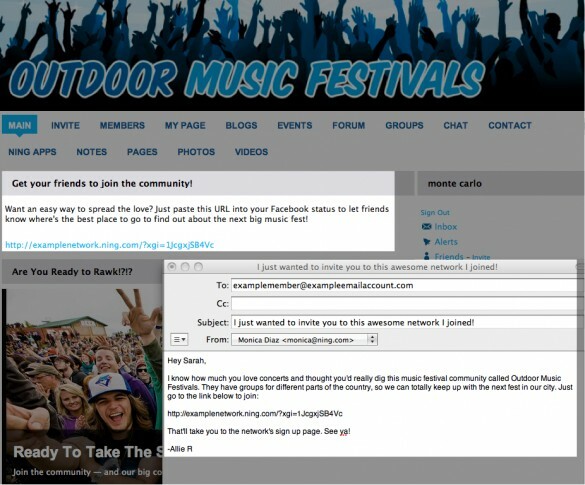 Creating a new invitation link will disable the current link, as well as any outstanding invitations containing that link. People will now need to have the new invitation link in order to join your Ning Network.